It started in the fall of 1974…. I’ve got one advantage over the other panelists, I have more years of experiencing the rise and fall, rise and struggle, rise and shine of women in the last two thirds of the 20th century. I was born when girls couldn’t bounce basketballs more than twice because they might damage their feminine organs. When I told the high school counsellor I wanted to work in the arts; writing, acting, or drawing he advised me to teach school because women don’t make enough money in the arts unless they are married and have a husband working full time. At Teacher’s college, one supervising teacher told me to dress more primly as she didn’t want me ‘flaunting’ my feminine attributes in front of her Grade 8 class. In 1953, intimacy outside of marriage was totally taboo, the 5% of young people who went to university were 90 percent male, and my first teaching job came with a salary of 2200 dollars a year, two to four hundred dollars less than a graduating male’s. For me, the real full force of the changing feminist tide, started in the fall of 1974. I had applied for a position in Ottawa as a Public Affairs Officer Level 4 in the Department of Transport. We had arrived that fall in the city and enrolled our sons in school. Clair had a job as coordinator of the global non-governmental participation in Habitat Conference, the UN conference scheduled for 1976 in Vancouver. I took a temporary position in the typing pool at the Department of National Defence. Frankly I was a lousy typist even with a top of the line IBM Selectric. There was at least 20 or thirty other ‘girls’ (quotes invisible but definitely there) sitting at state of the art machines. We were all busily typing orders for Canadian soldiers (male, of course) in triplicate. No whiteout allowed. I was sent for a typing test and nearly passed. I went home at night and practiced. Clair could type at least ninety words a minute, but he’d never been or never was called for a job even when we needed work after we arrived in Edmonton 32 years ago. He took the government typing test and never heard a word! Figure that one. Anyway, one day my typing boss-lady called me to her desk. My hands were shaking. I figured I was going to be let go. “They’ve called from Transport. Evidently you applied for a job in communications management?” Her eyebrows lifted so high I thought they’d hit her widow’s peak. “You have an interview tomorrow at ten a.m.” She passed a typed note over to me. “Make sure you are on time.” Then she turned back to her supervising work, peering over half-glasses at a letter typed by Betty, the speediest most accurate typist in the pool. She was shaking her head in disbelief of the audacity of a girl like me trying for a management post when I couldn’t fulfill my duties where I was assigned. Didn’t I know my place? On the way home from work I bought a fashion magazine with an article about dressing for success. After supper a friend and I went shopping and she helped me choose an outfit. Clair gave me a haircut and calmed my fears. Told me I had the experience even if I didn’t have ‘the credentials’ women could get by the mid70s. I’d done research for CBC St. John’s, columns for town newspapers, edited a substantial volunteer magazine in Chicago under a good boss, plus written articles, short stories and poetry which had been published in small mags and journals. But I’d trained as a schoolteacher not a journalist. I had continued taking university courses at night and in the summer but I had no degrees. The next morning I was interviewed by five blue-suited men in their 50s in a board room on the 24th floor of the Transport building. To say I was nervous would be to put it mildly. The questions went on for a long time. I shook hands with them and left. Another woman was sitting in the outer office with a briefcase. looking nervous. I went back to the typing pool. No one but the boss knew where I’d been. I told a couple of my buddies over lunch but asked them to keep it quiet. I didn’t have a hope of getting a job like that. The rest of the week went by without a word. My boss asked if I was ready to take another typing test yet. I said ‘soon’ and went home and worked on the Selectric. What I didn’t know was that the wheels of government grind exceedingly slowly. I also didn’t know that 1974 was the United Nation’s Year of Women and there was a directive from the government of Canada that the civil service had to interview and promote more women in every department and in every branch including the Communications areas. And just like a scene from Nine to Five starring Jane Fonda and Dolly Parton, the room erupted in applause with hugs for me and help as I cleared my desk. I couldn’t tell the girls, the women, how scared I was, how insecure. I just celebrated with them, went for coffee with them, and headed over to Transport and the 24thfloor with a lovely view of the Ottawa River and a meeting with Mr. Murray, the chief of Communications, and my immediate supervisor and Peter, the current editor. I have never thought of myself as a pioneer but I sure worked like the devil the next few years to prove that women could do as good a job as men, that I deserved the pay I got, which was more than my husband’s in the volunteer sector. Behind every successful person are supporters. 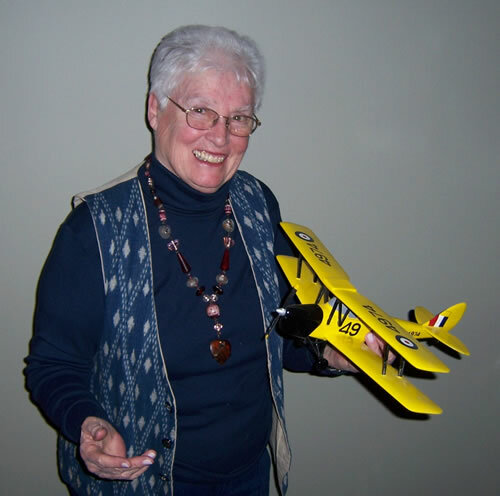 Clair believed in me, all the way from Grade 11, more than my parents, more than my teachers, more than the societal stories that hounded most girls in the 1940s, 50s and even the 60s in this country and all other Western countries. I went on to build a career in communications, public affairs and finally creative writing. When Luanne Armstrong, Peggie Graham and I discovered women were not getting published as often as men we started Other Voices, one of the still-standing and successful literary journals in Canada. When friends like Alice Major, Shirley Serviss, Candas Jane Dorsey and Timothy Anderson and I discovered that many great voices were not being heard (many of our women friends included) we started a publishing company, The Books Collective. I was the first to publish some of our fine local women writers in my small press Hodgepog Books. I have written of women’s lives, novels about a girl’s choices (and boys, too), and poetry about the journey. 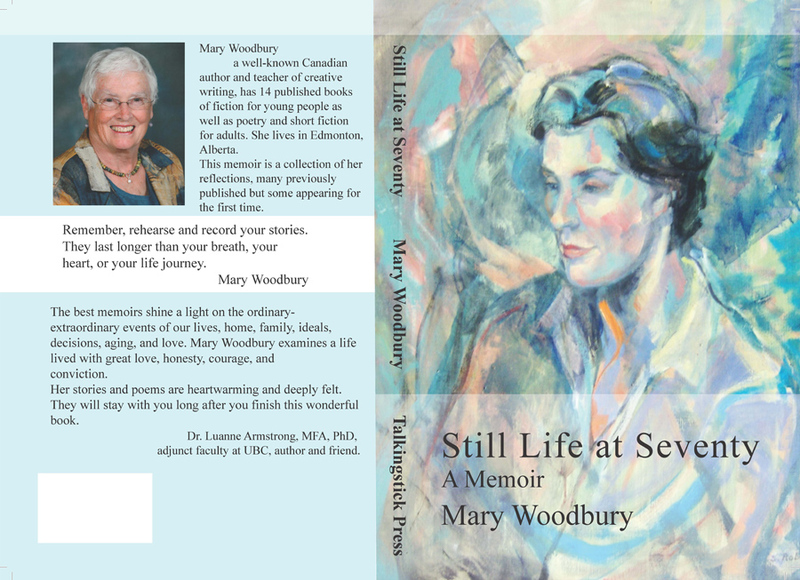 With the publication of my memoir, Still Life at Seventy, I look at the building of a life in the arts of one Canadian woman born in the thirties, who joined the fight for an inclusive, tolerant, open society. And I have no plans of retiring from that. Like many male chauvinists before him, VS Naipaul said recently that he considers no woman his literary match. I was not surprised. I’ve never heard of a woman who sunk so low as to talk about how she didn’t consider any man her equal. Why bother! Our egos are not so fragile. But it made me angry. I’ve read the statistics that show women once again are getting sidelined. Of course, it’s happening again. Look at history. Every time women have taken a stand or changed the way the deck is stacked, society, and men who like power and control have tried to turn the clock back. Often they’ve succeeded. Hopefully not this time. We just have to roll up our sleeves, tuck in our t-shirts, whatever, and write, edit, blog, podcast, pester, and produce great material. We must stay vigilant. People have always resisted change and any moves toward equality of opportunity that might ‘threaten’ their standing. We need to watch for the recurring default stance which turns a blind eye toward the power and punch of women’s words. Let’s defend and promote Alice Munro, Carol Shields, Barbara Kingsolver, Margaret Atwood, Jane Austen, Joan Clark, Edith Wharton, Ursula LeQuinn, P.D. James and the host of other great women writers. I’m angry and that’s useful. A certain amount of anger is good. It spurs us on to push for justice, fairness and a voice—over and over again. We need to encourage our sisters, daughters and granddaughters to write, paint, act, dance and sing their ways into the pantheon of artistic excellence no matter what the latest testosterone-loaded male says or does to try to silence us. “I have published 12 novels for younger readers (8 to 14), a book of plays for voices, most recently a memoir Still Life at Seventy, as well as poetry, short stories, personal essays and narratives. My first book was published when I was 54. Before that I was published in the Canadian Journal of Fiction, CBC Anthology with Robert Weaver and The New Quarterly. I have worked behind the scenes and served on the executive during the early days of the Writers Guild of Alberta, and I have been a member for decades of the Canadian Society of Children’s Authors Illustrators, and Performers (CANSCAIP), the Young Alberta Books Society and the The Writers’ Union of Canada (now retired.) I believe in giving back to the community that nurtures you. I was thrilled to be invited to be part of Women and Words and the crucial work being done there.” A profile of Mary is here on her website. Well that’s some interesting reading, and I do not doubt it’s true. Funny thing is I grew up in that very same time period, same years and so on, and I can think back and say I never saw what she described, just never saw it because I never knew to look – lack of information on my part. What I do recall is men moaning about how hard it was to get published (as usual, I suppose) without much thought about women and their more difficult struggles. Good for her, and for the work she did in making things better. It truly is good to see someone like her making things better as she did. I bend my knee in honest tribute.